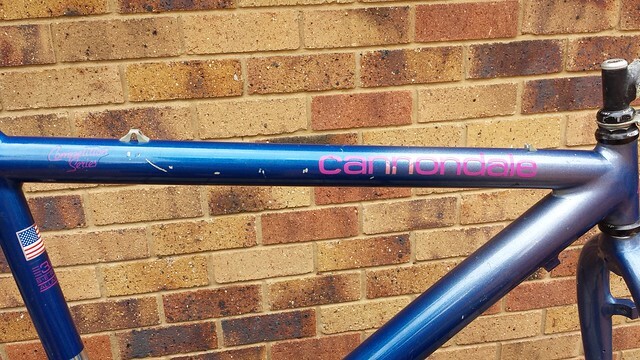 I've been lurking here on and off for a while but I finally made an account because i recently picked up a 1990 Cannondale SM2000 frame. It's in reasonably good condition overall. A few marks and scuffs as expected but the paint is still shiny. I'm leaving the paint as it is for now but might get a repaint sometime. A couple of the cable guides are missing on the top tube but I've seen Vintage Cannondale has aluminium ones so I might get some of those. 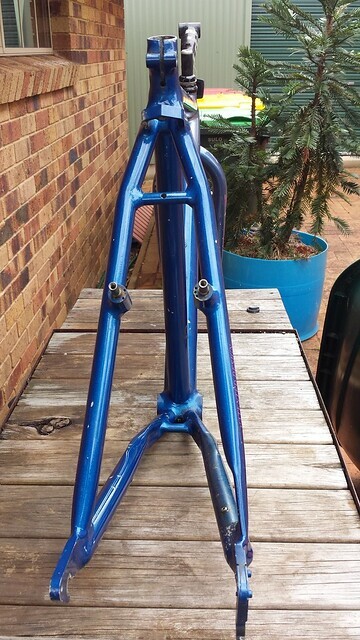 It's my first "retrobike" mountain bike and I plan to build it up to be as original as possible. 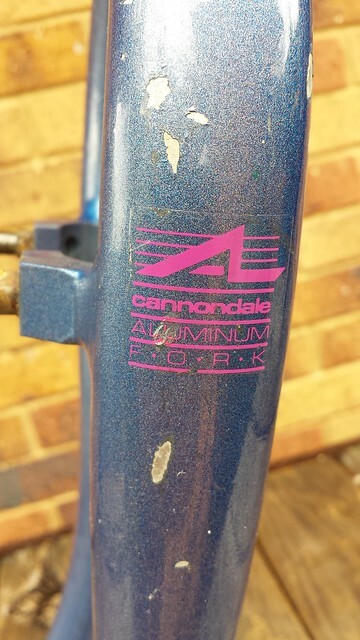 The 1990 catalogue on Vintage Cannondale shows it to have mostly XT components. I'm going to start obtaining the parts I need to build it up but I'm a little confused about the specifics. I've been told it should be XT M730 but I've also seen the odd reference to M732 and M735. Does anyone know for sure what it should have? I hope to post updates as the build progresses but it will be a long term project. Nice frame you got yourself. The SM2000 was one of my favorite MTBs back in the day. I´ll be following this thread! Thanks for welcome, I appreciate that. I dismantled, cleaned and re-greased the headset on the weekend. There is a very slight amount of wear in it but it still turns smoothly. Interestingly, according the 1990 catalogue it should have a Shimano XT headset. 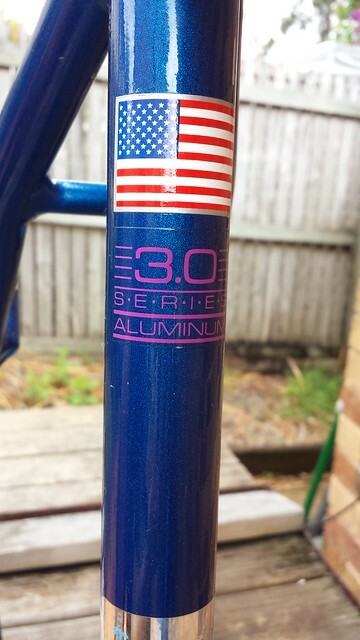 This one has a Ritchey Logic headset which was the spec for 1991. 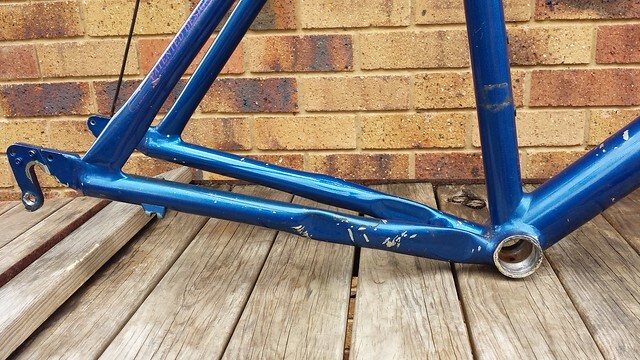 I guess it may have been changed at some point which is understandable considering the age of the frame. Nice and cool project and XT parts are quite easy to find. 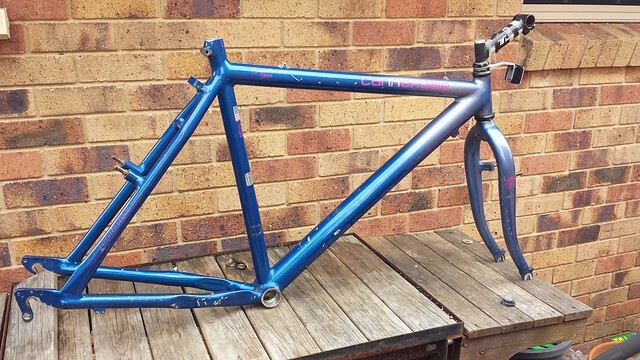 Really a nice frameset, looking forward to your build. Regarding XT parts: Shimano´s nomenclature was not consistent as there are no 730/5/7 "groups" per se. The names of components partly carried over from previous generations. For example in 1990/1 the XT group would consist of the 730 crank, 735 FD/RD, 730 front hub/732 rear hub, 732 thumbshifters or 092 STI, 731 or 5 pedals, 732 or 734 brakes... If you want the absolute correct spec you would have to consult the Cannonade catalogue for that model. Otherwise the lines are a bit blurred, especially regarding shifters, brakes, pedals. I for myself draw the lines of period correctness from the number of gears: 6 speed Uniglide (first XT group up until 1989), 7 Speed Hyperglide (XT II), 8 Speed Hyperglide (last group with cantis). The rest is personal preference (For example I avoid the early XT STI shifters like the plague. Thumbshifters for me please). Awesome, thanks for that info. I intend for it to be as period correct as possible so I have no issue with mixing & matching a little. It will be XT 3x7 with XT brakes, etc. Some items like bottom brackets I'll probably go with more modern sealed units assuming they are better. As long as it looks pretty close to the catalogue I'll be happy. It will need some touching up in a few spots but a repaint, if it does happen, is a long way off. 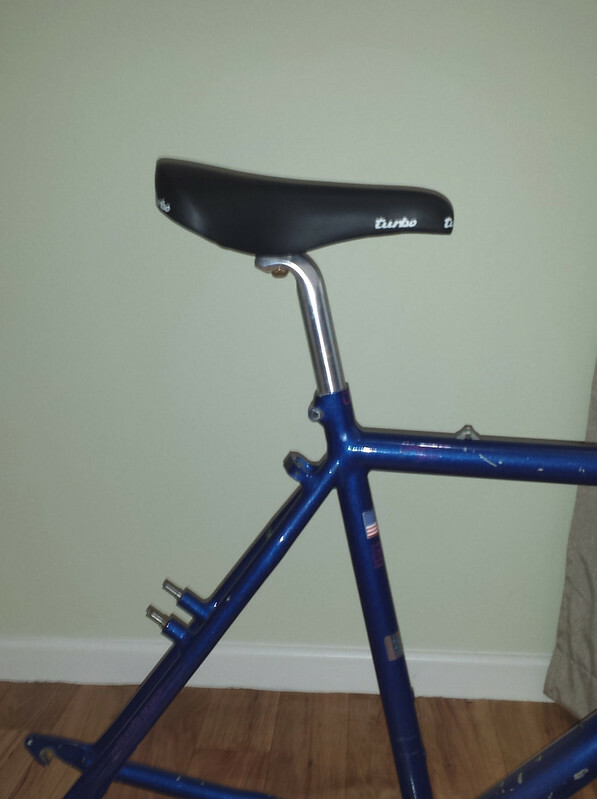 The seat post is a Kalloy 27.2mm. Not original spec but it does the job. This build is on hold for the moment. I have to cough up the money to have my car repaired after some mongrel hit it and tore a hole in one of the doors then drove off. Don't know what that will cost yet but it will delay the progress of this build.